Friday, November 25, 2016, H.E. Atiqullah Atifmal, The ambassador of Afghanistan in Malaysia met the Secretary General Datuk J. Jayasiri and Norman Osman, the Bilateral Economic & Trade Relations Director General, of Ministry of International Trade & Industry of Malaysia. 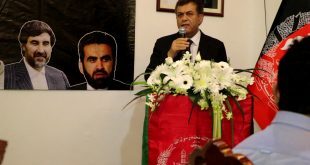 During the meeting, the ambassador talked about the bilateral relations of Afghanistan and Malaysia and emphasized on strengthening it further by opening the Malaysian Embassy in Kabul and facilitating visa issuance for Afghan students, tourists and businessmen. 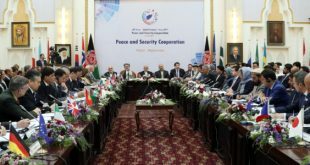 The Secretary General congratulated the ambassador on Afghanistan’s membership of World Trade Organization (WTO) and considered it an important step in economic development. 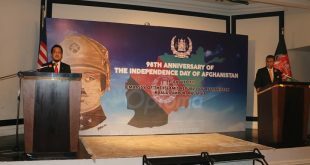 He mentioned that Malaysia can cooperate with Afghanistan in Halal Products & Services and Islamic Banking Sector and sought Afghanistan’s participation in “Malaysia International Halal Showcase (MIHAS) 2017. 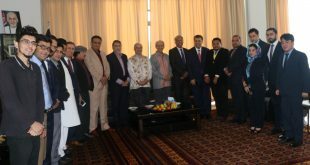 Based on the request of the Ambassador, The Director General of Bilateral Economic & Trade Relations assured a preparatory meeting between the Malaysian businessmen & investors and Afghanistan Embassy for organizing a joint conference of Afghan and Malaysian Businessmen and Investors to strengthen bilateral business and investment relations.